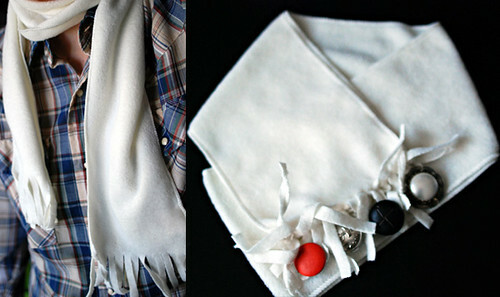 Pincushions, cheap+easy scarflet, and Halloween fun! 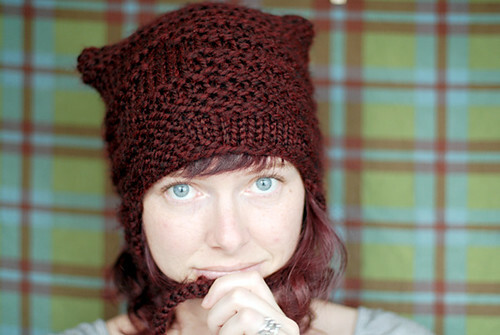 Thing #1: It’s Susan Beal’s week for a Knittn’ Kitten project! 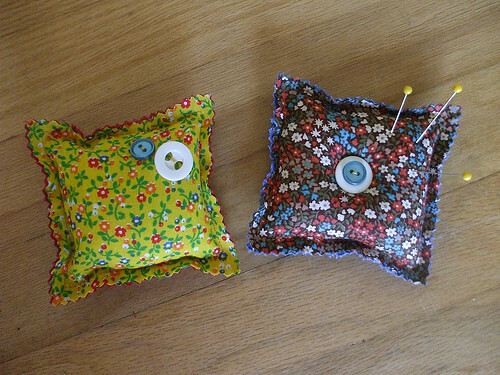 This is an ultra-simple, very customizable little pincushion project — very easy and quick to make. If you buy a half-yard of a cotton print and a half-yard of corduroy at the Kitten you can make 44 of them, believe it or not! So Portlanders, stop by the Kitten for the project sheet, vintage fabric, and some buttons, yay! Thing #2: I contributed an old tutorial I did (originally in CraftStylish) to Dollar Store Crafts – this scarflet uses just a $1 scarf with fringe (from Dollar Tree), some buttons (which you probably have on hand), and no sewing (except sewing on the buttons). Easy, cheap, and full of creative possibility! 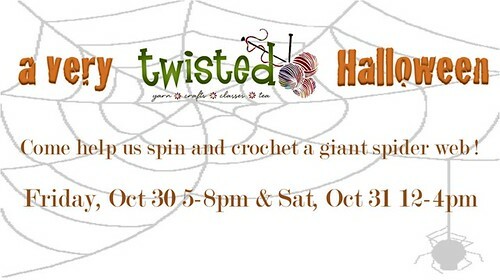 And lastly, Portlanders, this crazy event is happening at Twisted this weekend! I don’t know exactly how it’s going to work, but I do know I’m going to be there!! 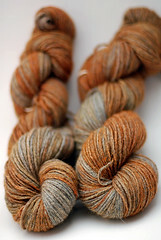 With my wheel and a bunch of alpaca for spinning, yeah! I’m planning on spending Saturday there, probably in costume, hope to see you there! And speaking of Halloween… anyone excited about their costumes? I am! I’ll keep it a surprise for now, till we have good photos to show, but I’ll give you a hint – the idea came from my Threadbanger costumes roundup, and also, it’s a group costume! I sure do love Halloween for all of its craftyness! 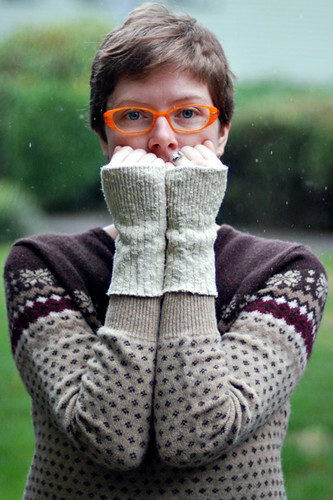 Fingerless Mitts part 3: Knit Gradient Mitts! 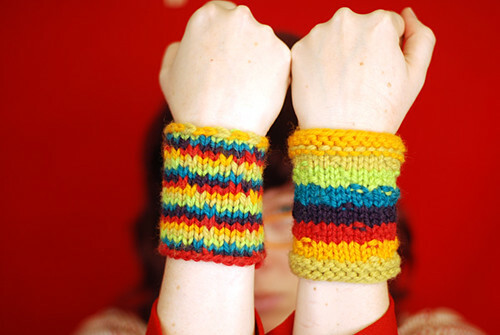 Now for part 3 of my Fingerless Mitts Times 3 tutorials from Craft: 10! Knit Gradient Mitts! 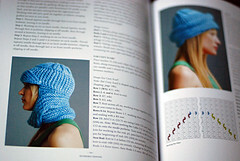 It’s written as more of a how-to than a normal knitting pattern, with step-by-step instructions and photos to go with them! 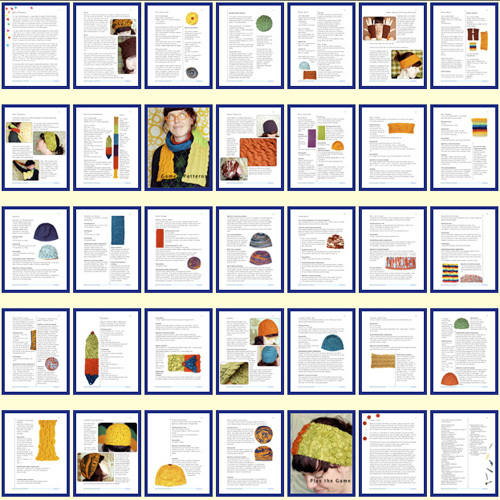 I made it into a free PDF – download it directly here or head over to ravelry to add it to your library – and I’m pasting it all right here as well…. enjoy! This is a fantastic project for beginner knitters bored with scarves – just don’t be scared off by the double pointed needles, which are very easy to use once you get the hang of them. 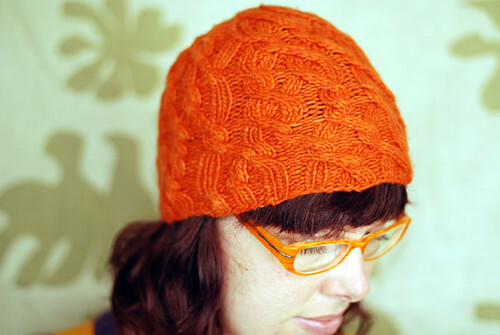 By knitting in the round with DPNs, you only need to know the knit stitch (no purling) and there will be no seams to sew. Pattern is for sizes Small[Medium, Large]. Pictured are small and large. Gauge is about 3 stitches per inch (un-stretched). Cast-On 18[21, 24] stitches around 3 double pointed needles with Color 1 (C1), so there will be 6[7, 8] stitches on each needle (pictured below, left – with multiple strands of yarn held together to equal a bulky yarn weight). Step 2: Knit up to the thumbhole. 2a. 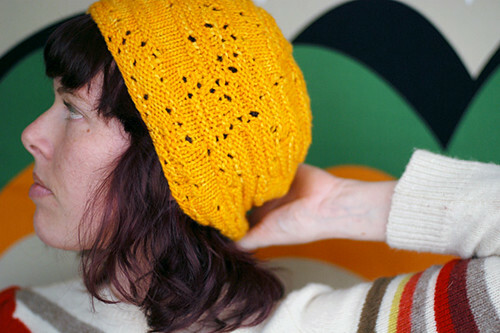 Join in a circle and knit 5 rows in the round with C1, then knit one row with the second yarn color (C2). 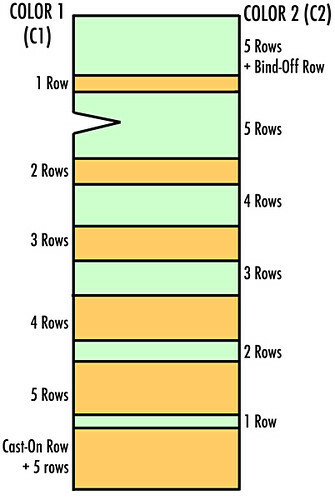 Switch back to C1, with the tail end of C2 over C1 working yarn from left to right, and the working end of C2 over C1 from right to left (pictured below, right). Bringing the new yarn underneath and over the old when changing colors prevents holes at the seam. Step 3: Make the thumbhole. 3a. 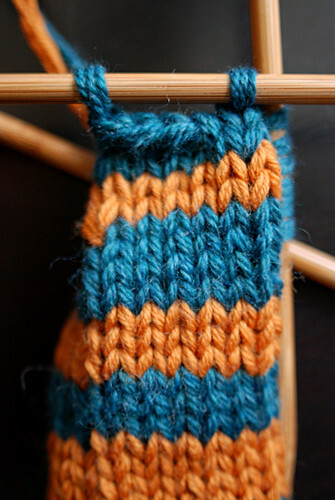 Knit the first 2 rows of the 5 row C2 stripe normally. 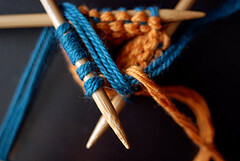 On the third row, bind off 4[5, 6] stitches in the center of the first needle for the left-hand mitt, the third needle for the right-hand mitt (pictured below, left). 3b. 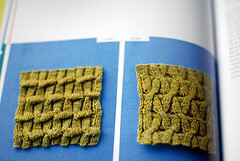 Knit around to the hole, then cast back on those 4[5, 6] stitches using a single cast-on (also called wrap cast-on or loop cast-on) (pictured below, right). 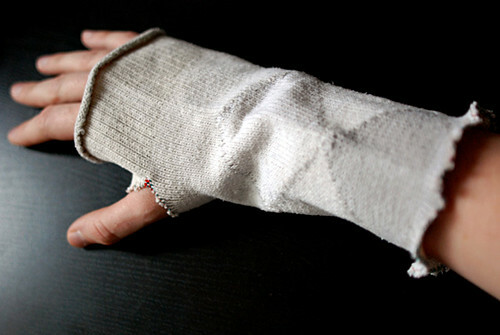 Cast on the thumbhole stitches tightly, since they will become looser when you knit into them. Finish knitting that row, and knit the last row of the C2 stripe normally. Step 4: Finish and repeat. 4a. 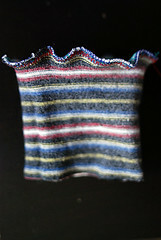 Finish knitting the mitt in color pattern up to the top, then bind off (pictured below, left). Bind off not too tightly, but also not too loosely to prevent curling. 4c. Repeat all steps for the second mitt. 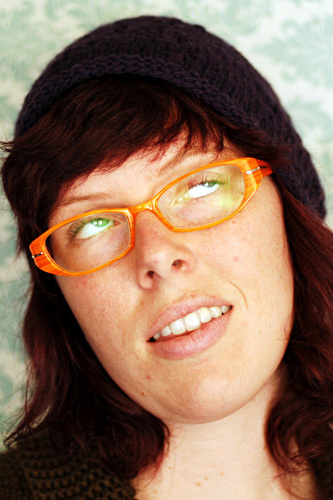 Tutorial and photos by Lee Meredith, 2009. 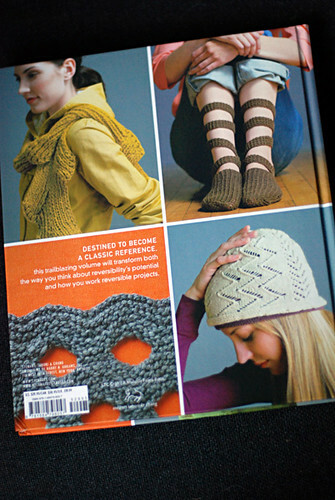 Originally published in Craft: magazine issue 10. 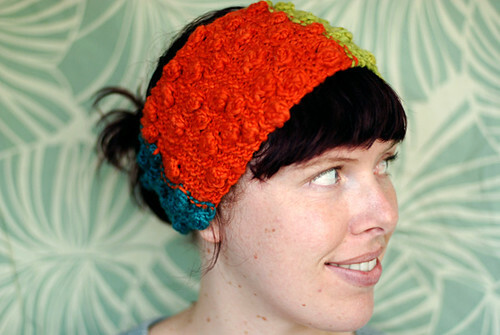 It’s been over a week since I mailed out the October leethal quick knits club packages, so it’s time to show them off! I was so excited about putting this one together, with its costumes theme! So that’s an example of a whole package above, and I’ll start with the patterns, since those are the most fun part! 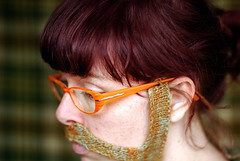 The 15 yard pattern – Old Timey Moustache (with sideburns)! From the note to members: I went there, I totally caved into the moustache trend, I know. 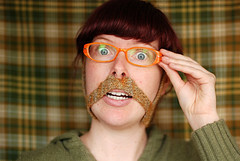 I had to though, knowing a knit moustache would be such a perfect 10-15 yard project, and wanting a costume-themed October club, I just couldn’t resist! 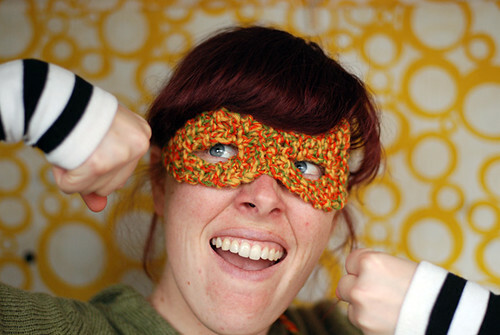 And pattern #2 – Superhero (or Supervillain) Mask! 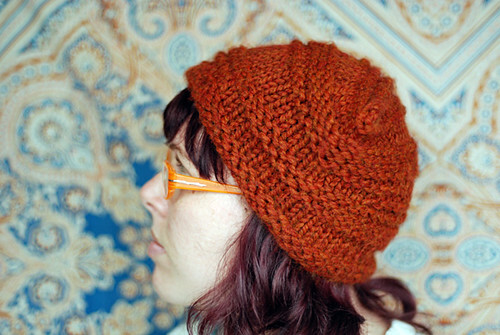 It’s garter stitch, asymmetrical, and uses a weird short rows method that I made up (I’m sure it’s been used by others, but I’ve never seen it) for the eyeholes. 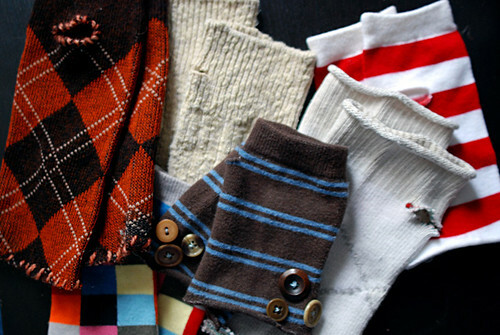 The fun extra was a pair of recycled socks cuffs, or wristwarmers, or fingerless ninja mitts by snipping little holes in the tops for thumbs. 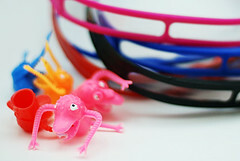 They’ll go great with any superhero costume!! I thought about making them into ninja mitts myself, but I wanted members to decide if they want them to just be cuffs, or if they want to cut up some other old socks and make multi-sock mitts, or do any other fun embellishments! 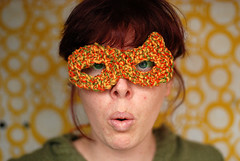 Since both costumes can be worn with glasses to hold them on, I included an awesome pair of costume glasses. Plus a little monster puppet as a bonus Halloween gift! 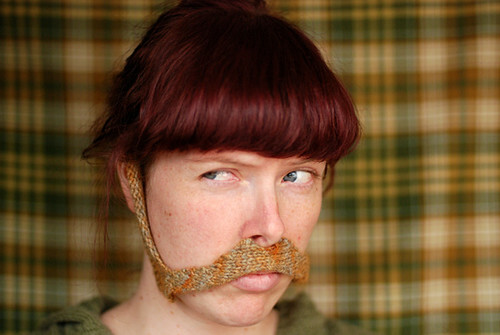 Lastly, each member got 3 pieces of 2-sided tape to help secure the sideburns and ‘stache in place. Ok, that was October! I’m starting work on November now, which will be a little extra special since there’s no December club – you have till Nov 1st to sign up! 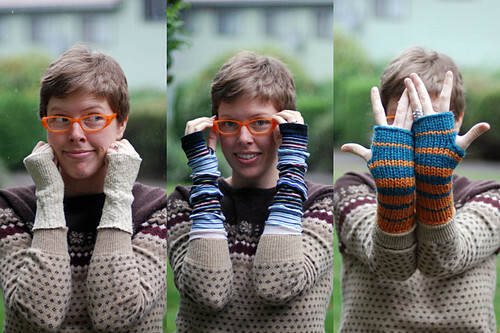 Fingerless Mitts parts 1+2: Recycled Sock Mitts! 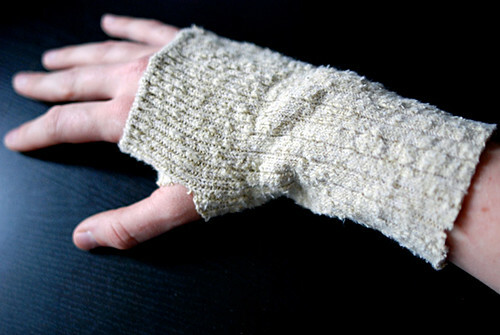 Remember the Fingerless Mitts Times 3 project I had in Craft: 10 back in February? Well, now that it’s getting colder, I want to share the tutorials with all of you do stuff! readers! 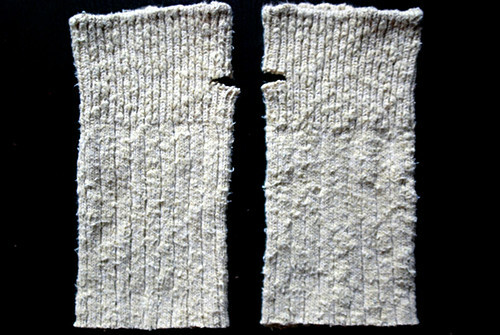 I’m dividing the 3 mitt types into 2 parts, because the first 2 go together – the 2 different recycled sock mitts, shown together below. So I’m just going to cut and paste my original article/tutorial, which was edited and cut down a bit to fit in the magazine… here we go! I always have cold hands, but being a crafter, photographer, all-around doer of stuff, I feel trapped when my fingers are covered, so fingerless mitts are the perfect solution! 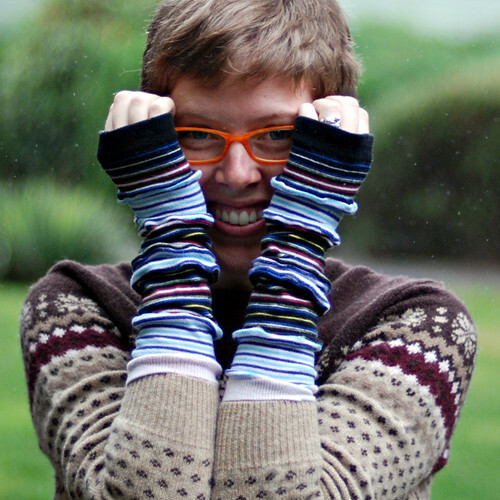 Way back in my early knitting years, when I feared patterns and loved fat yarn and quick knits, I developed my super easy, fingerless, shapeless, fat and squishy “ninja mitts,” as I’ve always called them. 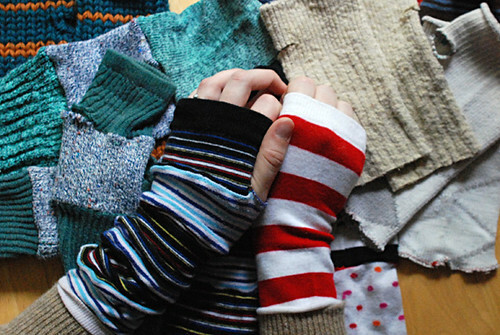 Then when I dove into recycled crafting I cut up some old socks and came up with a couple versions of sock mitts – which are warmer than you’d think, and super comfortable! All the mitt designs are great for finger mobility, can be pulled up over balled fists for extra warmth, or can be taken off the thumb and pushed back onto wrists for eating or added dexterity. 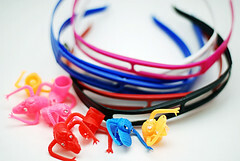 Once you make yourself a pair or three, with all that mitt agility, you will indeed feel like a ninja! 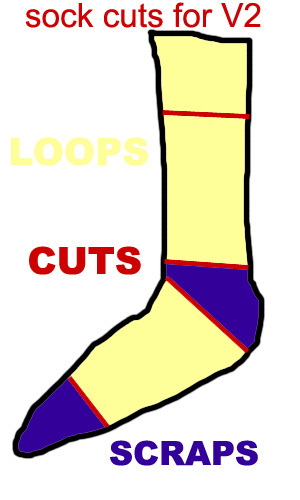 Cut the first sock straight across the ankle, just above the heel (above, left). Step 2: Cut the Thumbhole. 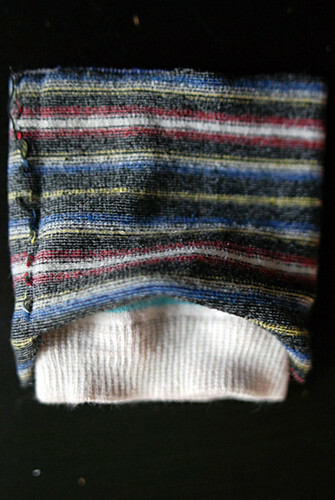 Try on the footless sock with the end that was the top at your thumb and check where you want the thumbhole to be. For mitts that will keep your hands warmer, put the thumbhole down further from the top; for mitts just meant for wrist-warming, the hole can be closer to the top. Make a small cut – smaller than you think it should be – then try on the mitt to see if you need to make it bigger (below). Make small snips until it fits comfortably. Step 3: Repeat for second mitt. 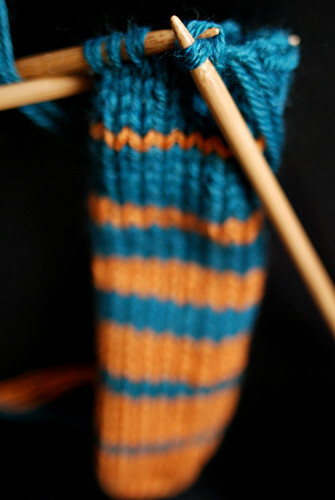 Hold the first mitt up to the second sock and repeat the two cuts to match (above, right). 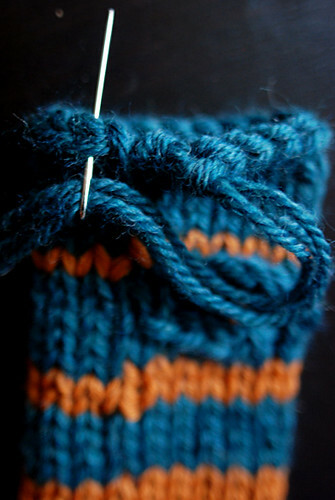 If the socks have noticeable seams, keep them on opposite sides of the thumbholes on the two mitts. 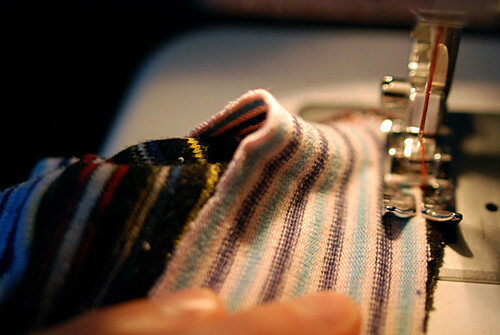 Step 4: Optional sewing or embellishment. 4a. 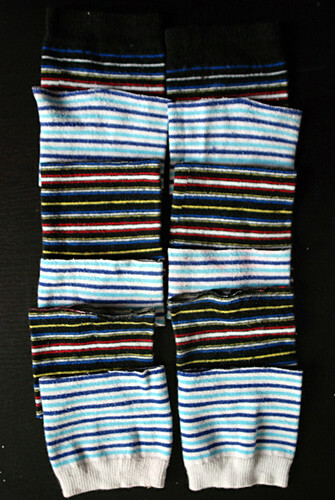 This is the “no-sew” version, so this step is completely optional, but if you want to use a pair of socks that will unravel, you can sew a zig zag stitch around the bottoms and thumbholes of each mitt to prevent that from happening (below). 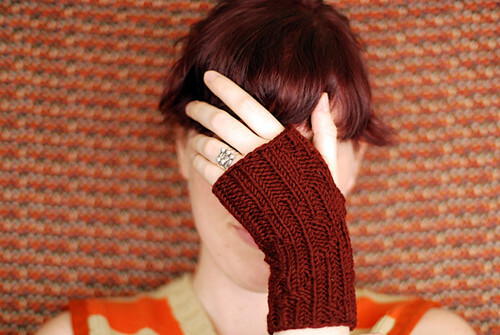 If you decide to sew around the mitts to prevent unraveling, it’ll create a cute ruffled edge. I’m showing you how to make a basic 2-sock pair of mitts, but you can use the same concepts to take pieces from several socks and make a crazier set. 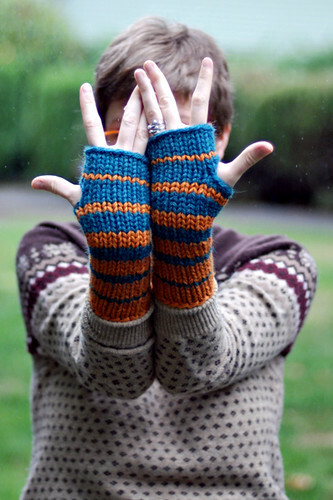 You can even use the leftover feet from version 1 and incorporate them into some multi-sock mitts! 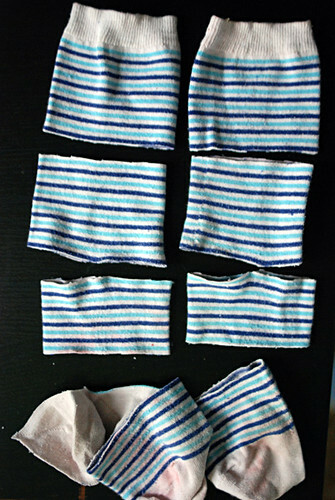 Step 1: Cut up socks. 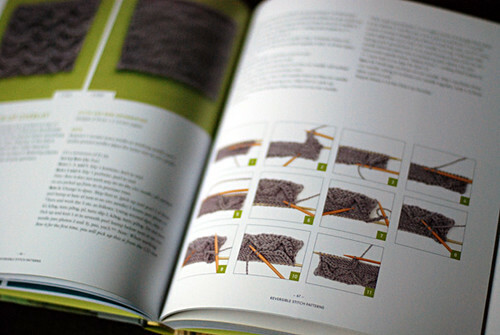 Step 2: Design your mitts. Put the loops in order, switching between the two different patterns. Your mitts will look best if you use the tops of one pair for the tops of the mitts, and the tops of the other pair for the bottoms. 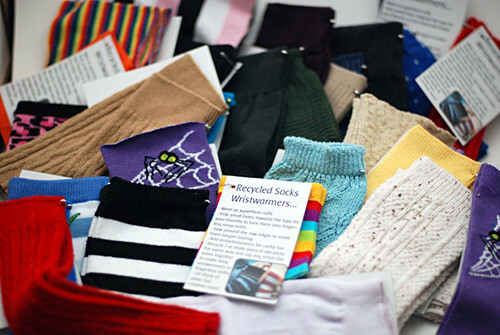 (below, left) If one pair of socks is a bit bigger or stretchier than the other, use that one for the bottoms of the mitts. Step 3: Sew them up. 3a. Turn the loop second from the bottom inside out and put it over the bottom loop, with the top edges aligned (below, right). 3b. 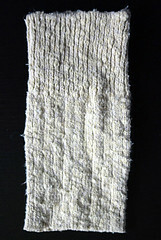 Use a zig zag stitch to sew the loops together around the edge (below, left). 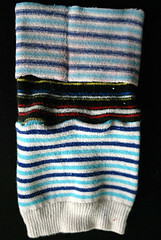 The stitching will make a ruffled edge, especially on thinner, stretchier types of socks. 3c. 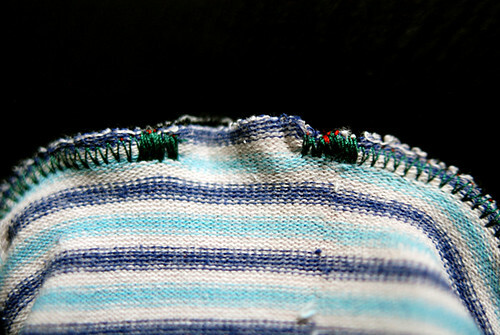 Repeat sewing each loop until the top one (below, right). The fabric will stretch a bit when sewing, but try not to stretch it too much. Step 4: Create the thumbhole. Sew the last loop on the same as the others, but leave a hole about 1-1.5 inches wide for the thumbhole. 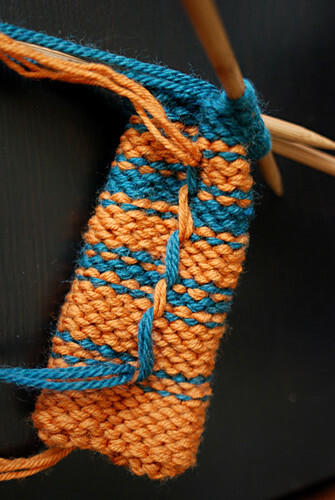 Be sure to lock the ends of this stitch well by sewing back and forth several times since there will be tension on this stitch at the thumb (below, right). 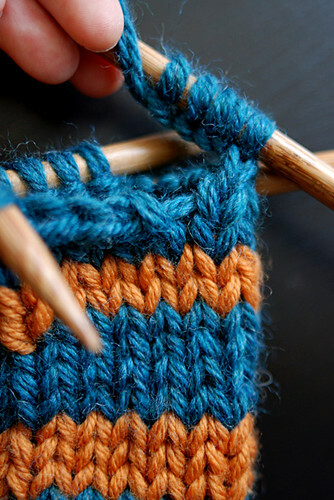 If you want to make your mitts extra neat, sew a zig zag stitch around the thumbhole edges. There you go! I wear these multi-sock mitts all the time! 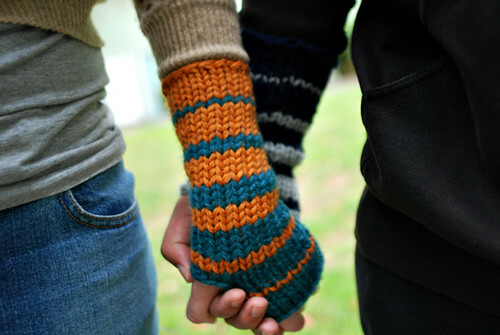 They are warmer than you might think, perfect for autumn days or cool evenings – and easy to take off the thumbs and pull down around wrists as wristwarmers when you don’t want your hands covered. Love them! 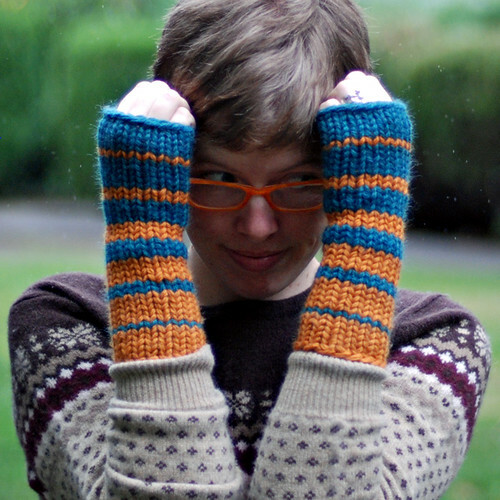 Coming later this week, part 3: Knit Gradient Mitts! This tutorial features easy-to-follow instructions and full scale pattern (no resizing is necessary!) 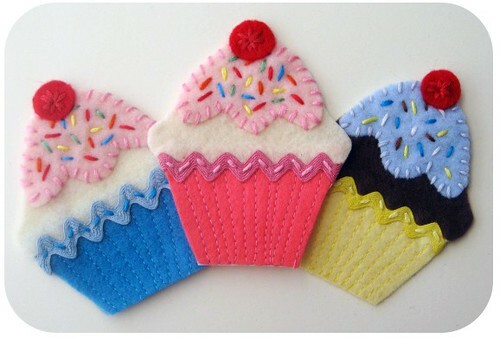 to make your own iron-on cupcake patches from felt! The finished patch measures 3.5″ high from the top of the cherry to the bottom of the cup, and 3″ across at the widest point. 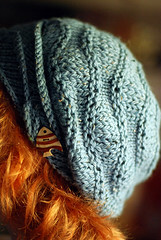 The tutorial also includes instructions on how to attach the patch to your garment. So head in to the Kitten to get your free project sheet and all the crafty goodies you need to make some cupcakes! Well hello there! This week has been totally nuts, getting the club packages made up and sent out this afternoon, with 2 other deadlines the same day, and Pete’s parents in town all week… So, I was able to get one of the projects done last weekend, then I worked on the club late into the nights while squeezing in trips to OMSI and the Museum of Contemporary Craft, seeing Sarah Vowell at Powell’s, trivia at Zach’s, and oh-so-much delicious Portland food!! Oh and I helped out with Twisted inventory for 7 hours on Monday (which was, um, kind of a surprisingly fun break for my brain, really)! It was a fun kind of busy, for sure, but I’m happy to have a bit of time now to catch up on blogging, knitting, and working on getting my studio in order (finally)! 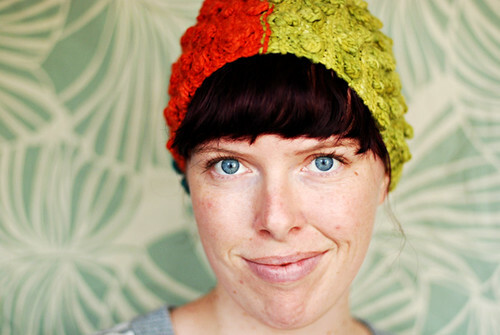 A few exciting things have been happening with Game Knitting – some rad blog mentions/reviews (and, and) and a super awesome podcast mention (more than just a mention actually) on Hoxton Handmade’s Electric Sheep podcast! It’s a great podcast, which I’m so happy to have now discovered, so I’m superduper honored to have been talked about! And thank you so much everyone for all the comments! 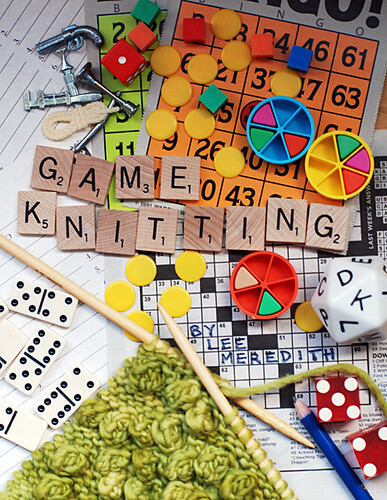 There are a couple of active Game Knitting threads going on in the leethal ravelry group – there’s the general Game Knitting topic, and there’s a Game Lists topic in which knitters are sharing their lists for the tv shows they are playing to! Fun!! Guttersnipe thought of a brilliant idea of working 2 different game patterns in the same piece, using one list or type of occurrence for one game pattern, and a different list/type for the other – in her case, playing to a hockey game and when something happens with team A, make the switch with one game pattern, and team B for the other pattern. Genius! 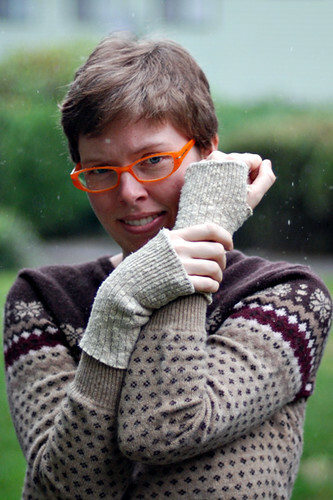 In local news – if you are a newish knitters, scared to attempt my Skoodlet pattern because of the provisional cast-on, short rows, seaming, buttonholes, math, you may be interested in my Skoodlet class happening at Twisted on Oct 25th and Nov 1st. 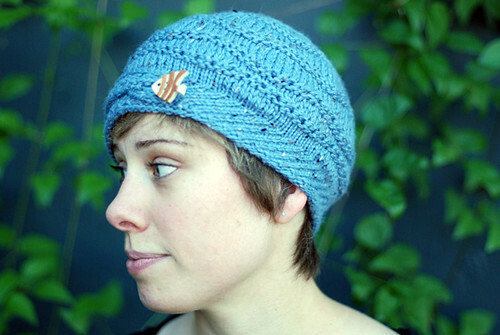 And other Twisted news – if you like my Ocean Breezes hat and are sad you can’t get the pattern for a year, you can sign up now for 2010’s Single Skein Club! This is not just for locals – they’ll ship anywhere in the US (possibly further, you can call and ask). Twisted is a fabulous shop, and the club is super fun, with patterns by local designers and a different skein of yarn to match every other month, all year long! This project is one of the very first things I ever made using felt. I realized that I could make my own templates and ANYTHING could be sewn together! 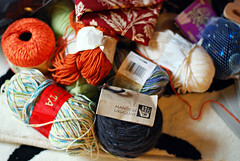 I chose this project because it is very simple and anyone can make their own purse/bag. 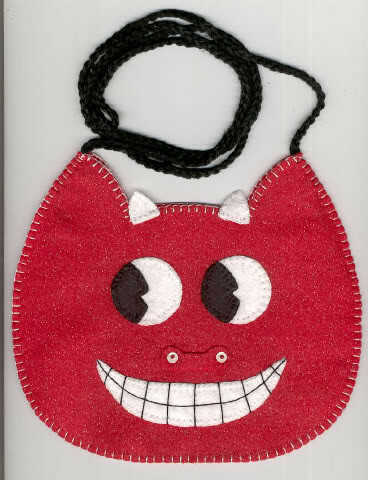 Knitt’n Kitten is packed with items that can be utilized to make a Halloween cat/devil bag. I believe I whipped out a quick single crochet chain for the strap, but you could use cord or rick rack or add beads to the crochet chain to make it fancy. 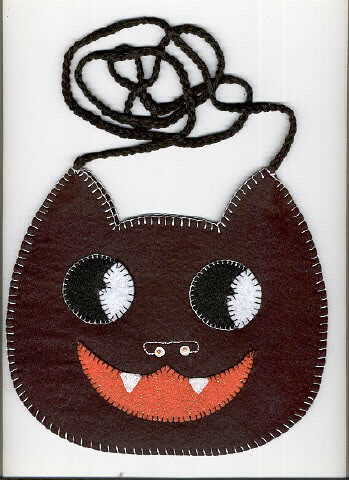 Head over to the Kitten for the free project sheet! 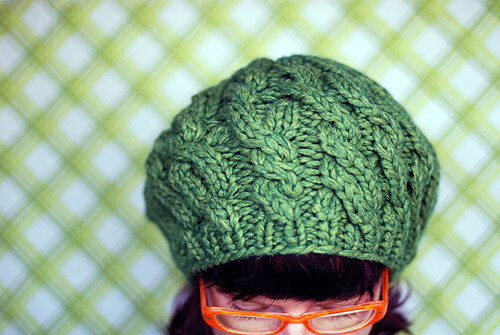 New hat pattern! Plus new project! 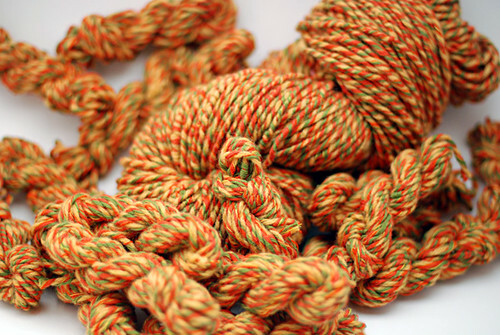 Don’t get too excited, this one is just for Twisted Single Skein Club members for now, but I’m excited to finally get to show you anyway! 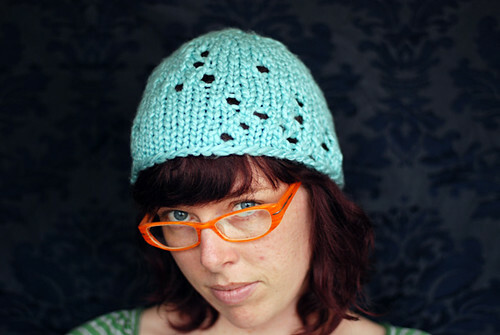 I designed this hat – Ocean Breezes (rav link) – for Twisted many months ago and it’s been so hard to keep it so secret! It will be for sale to all through Twisted in 2010, then I’ll be able to start selling it in a year, so I’ll let you know when it’s available! 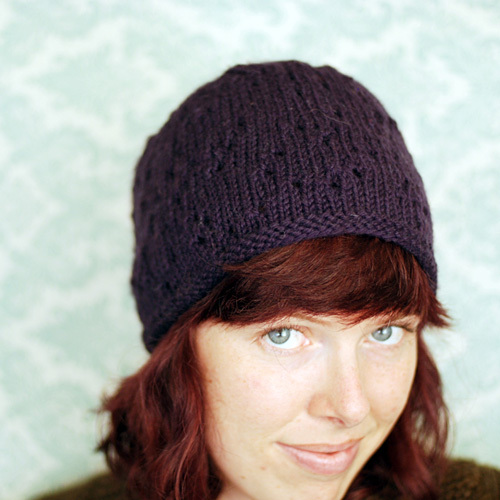 I designed it as a big, slouchy beret-style, then the test knitter knit it up in a tighter gauge, resulting in a smaller, cloche-style, which turned out super cute! (Modeled by Twisted co-owner Emily!) 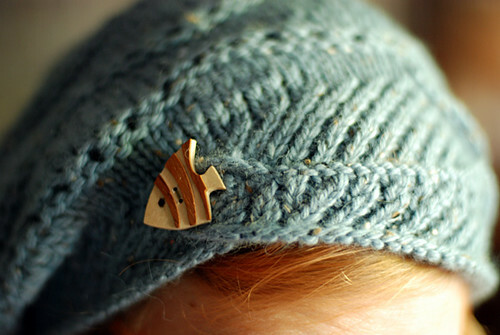 And either size hat is adjustable to any size with button placement – speaking of buttons, do you love those fish buttons as much as I do? 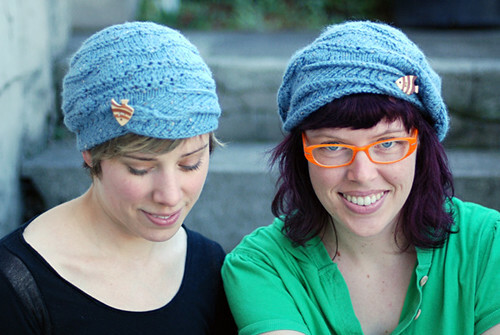 They totally inspired the hat design… the yarn in that colorway, plus the discovery of those buttons, and tah-dah! Ocean hat! 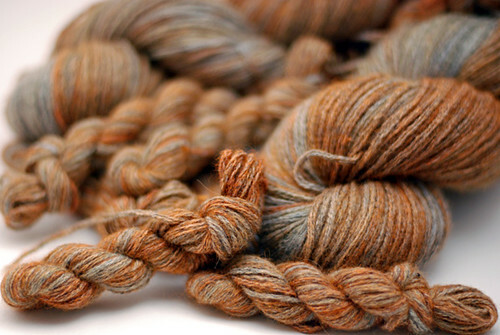 I knit up my first prototype (which is much bigger and a little different) in some hand-dyed green yarn, and I made another one in the same yarn but a different color (dark reddish brown) – haven’t taken photos of those yet, but I love them both! I wanted to do a little project that makes a simple, useful gift you can make for pretty much anyone on your list. 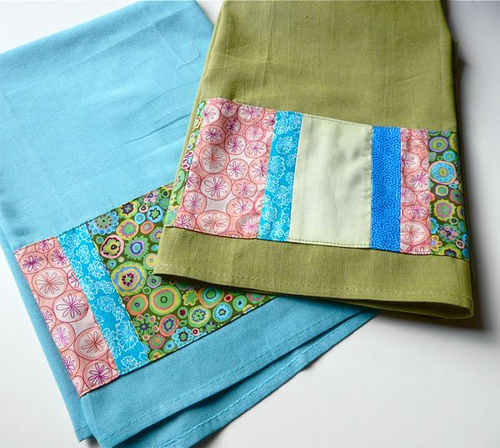 The patchwork process is very easy – even if you’ve never done any patchwork, you can do this. Then, all you need are some inexpensive cotton dishtowels from your variety or dollar store. I got to see the samples in person when I was in on Saturday (to gather supplies for my upcoming project!) – so cute! Something excited for the rest of you… it’s been revealed that we are going to be compiling all of these Kitten projects into an ebook for everyone in November! So that’ll be rad! Ok that’s it for today! 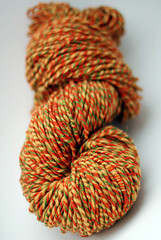 Back to spinning recycled yarn with me! I’ve been so caught up in ebook-making world for the last week+ that I haven’t been keeping up with anything else, like Portland news stuff! A couple things real quick now, for any Portlanders reading this late Friday night or Saturday morning/early afternoon. 100th Monkey Studio is having a swap!! Tomorrow (or today, Saturday) 11am-4pm. 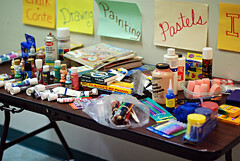 Art+craft materials, bring what you don’t want anymore, take home a big bag of new stuff to replace the old, yeah! 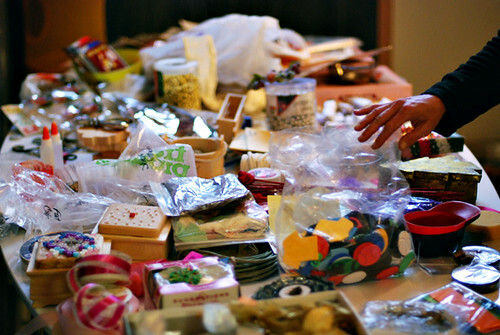 These photos are from their first swap that I went to, 2 years ago – it was fabulous!! 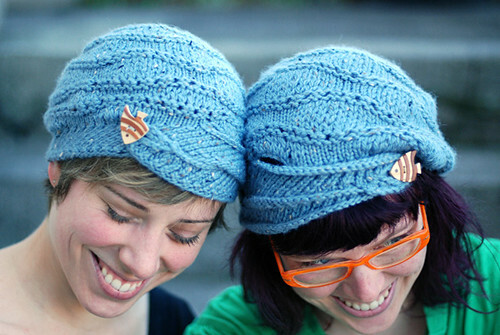 And then next week at the Kitten is Diane‘s project, so I’m sure that will be superawesome, like everything she does!! Thank you all for the great Game Knitting response!! 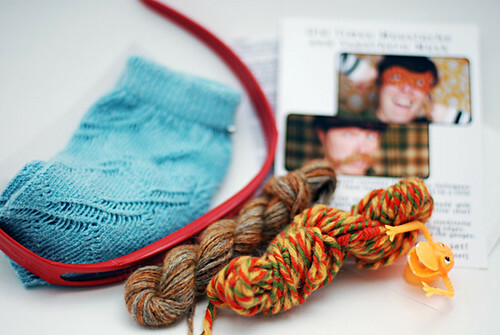 I’m so excited to have heard from some of you who already started playing – can’t wait to see projects start popping up on ravelry! I’m having an issue with either wordpress or yahoo mail, which I didn’t even realize had been going on for a week or so and I just noticed last night – I haven’t been getting comments emailed to me like they usually are. Which means I won’t be replying to comments via email until I get it figured out. So, just know that I really appreciate every comment I get, they always make me happy to read, and if I get any questions and still haven’t sorted out the email problem, I’ll just answer in the comments, so then everyone can read the answer… ok that’s all for now. My first ebook! Game Knitting! Ohmygosh, it’s done, it’s really done! I thought this day would never come! This ebook concept has been brewing in my head, in some form or another, since early 2007, no kidding! For quite some time it was just going to be a blog post, then I had plans to make a free pdf, but then the more I worked on it and developed it further, it made sense to turn it into a whole book! An ebook that started out (in outline form) being about 13 pages, then grew into about 30 pages, then eventually ended up totaling 65 pages! Whoa baby! 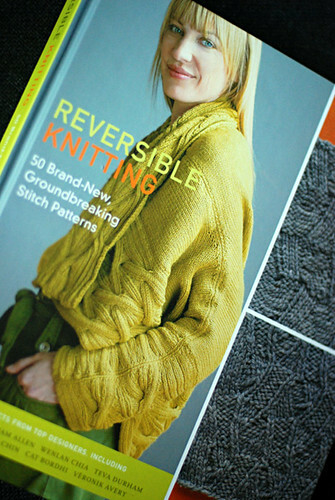 So that’s it – Game Knitting! 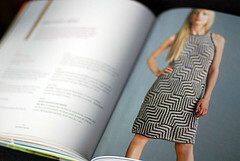 The book includes enough patterns to make over 150 different designs – but the whole point is that you can make up your own patterns and ideas, take it into other items, and your design options truly become infinite! 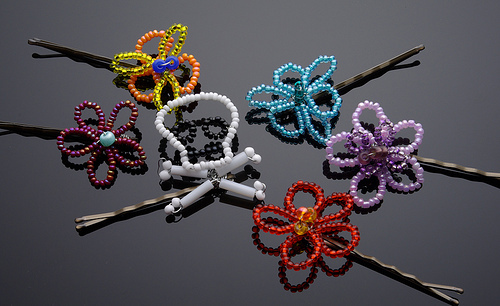 You could even use the concept with other crafts beyond knitting – crochet, embroidery, cross stitch, weaving? 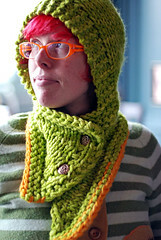 If you love both knitting and playing games, maybe you’ve wished you could somehow do both at the same time. Sure, you can knit a few rows while waiting for a Scrabble player to figure out their move, but it’s a bit trickier to work your needles and hold a hand of cards simultaneously. 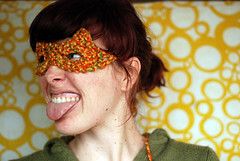 Well now here’s a way you can not just play and knit, but turn your knitting itself into the game! 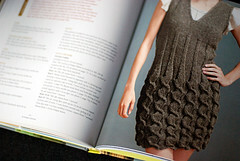 And create a truly one-of-a-kind knit object in the process, defined by the randomness of its design. 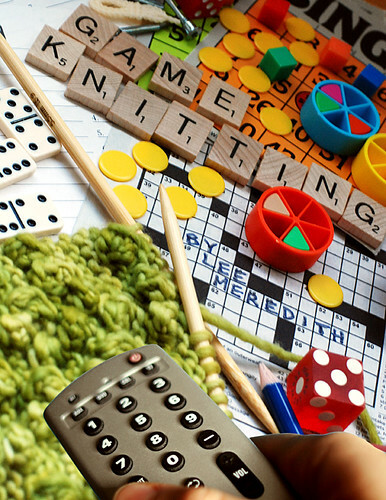 Game knitting, as it was invented and played to make the items you see here, is based around TV shows, which means if you don’t consider yourself a game lover, but you do have a weakness for television, you too will love game knitting! However, if you want to, some creative thinking can surely move the game away from the screen (and the book includes many ideas). 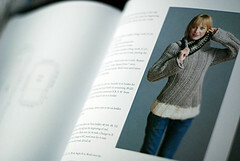 Game knitting is a concept as opposed to a pattern, which means it can be used to make anything you can knit, as long as it’s a simple enough shape. 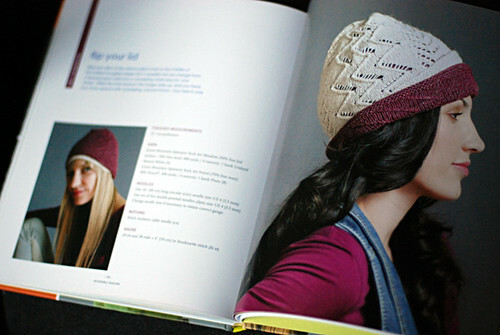 The book features mostly hats, but there are also examples of scarves, mitts, headbands, and cuffs; knit whatever you love most, as it works out best to game knit an object you are familiar with knitting in the first place. 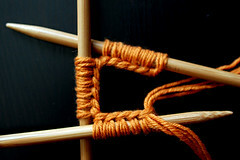 As you can knit any shape, you can also game knit with any yarn/needles/gauge. 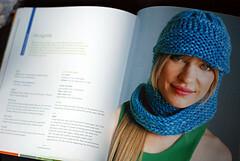 You could even take it further and use the concept in non-knitting projects! 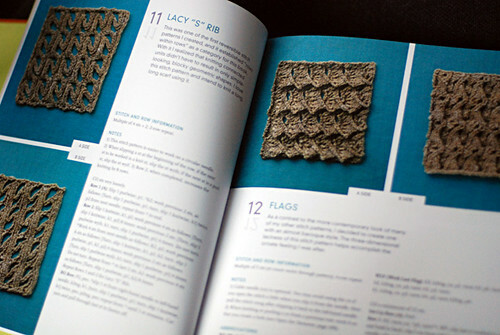 This information is also on the Game Knitting page of my website, along with little thumbnail previews of every single page, to try to create the illusion of flipping through the book! You can enlarge the first few pages (including the table of contents) and get a sense of how the book looks overall. The ebook is designed for optimal computer screen viewing (large, spaced out font for easy reading) and the pages you may want to print out have smaller pictures, which you can print in grayscale to save on ink. 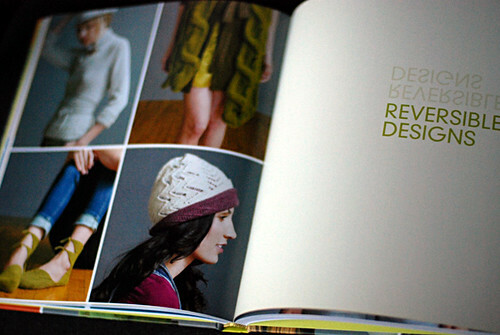 The pages you wouldn’t have any reason to print are full of lots of large color photos. Thanks so much to Diane, for both the help in learning Pages to build it, and for the ebook inspiration! You make a list of reoccurring things that happen in a TV show, as if you are going to play a drinking game to the show (drink each time something on the list happens), and you want it to be a crazy night! Which means, if you really were to turn your list into a drinking game, you’d either want to take very small sips of light beer, or you’d be too drunk to play after a couple of episodes. So, once you have this game list, you design a knitting pattern around doing/changing something in your work every time something on the list happens. 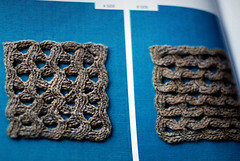 This may be as simple as switching from knit to purl stitches, or making an eyelet hole, or something a bit more complex, like cabling or turning your work for a short row. Just don’t try actually playing a drinking game as you game knit! 1. It’s fun! Especially if you’re playing with others (they don’t necessarily have to be knitting), so you can all shout out when something on the list happens. 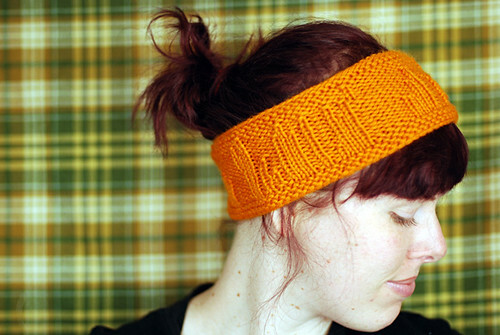 Your finished knit item will carry with it the memories of the game playing! 2. Randomness is cool looking! 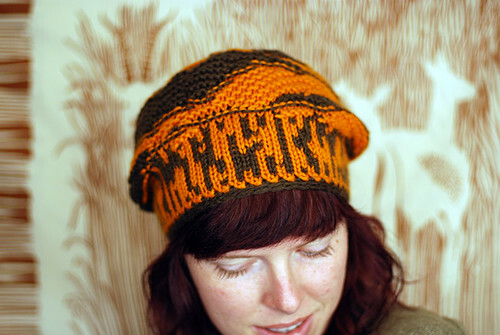 It’s hard to make a pattern look random on purpose; game knitting it a way to create a look of chaos (in a good way!) because your pattern really is random. 3. Inspiration! 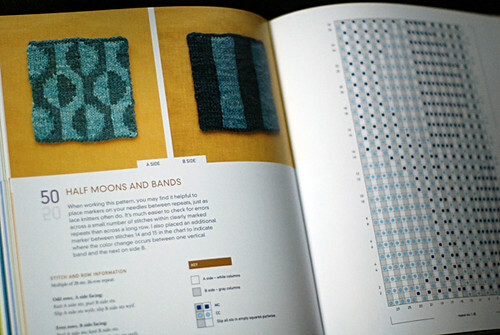 If you are a designer, or want to try knit designing, seeing the way a certain game pattern works up can be great inspiration for new design concepts! It can also be a fun cure for creative block. Pete and I have a way fun time watching silly TV shows while I’m game knitting, calling out whenever a list item happens on screen. (It’s super similar to Bad Movie Bingo!) And I lovelovelove the random (as Pete calls them, chaos) patterns that result!! Want to hear how the concept first came into my head? It was way way back when I worked my day job in a photo lab/camera shop in Orange County… I had a supercool boss who let me knit behind the counter when there were no customers (which was pretty often during most times of the year), so I was always picking up my knitting for a short while, putting it down to help someone, and picking it back up, all throughout the day. 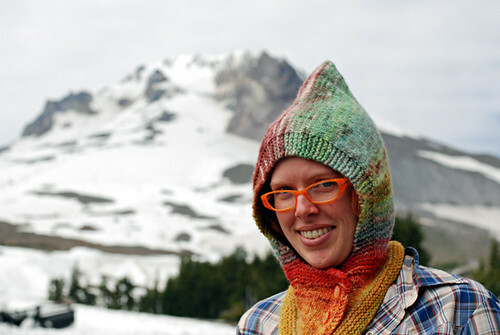 So one day I brainstormed the idea of changing my knitting pattern every time I put it down and picked it back up – and I tried it, and it resulted in this hat! 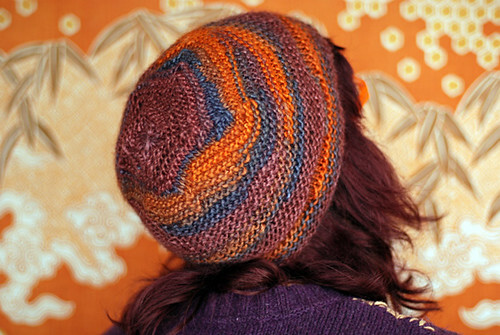 But I got distracted and didn’t get back into it till early this year, when I started making hat after hat, and then some non-hats – my example item number has now reached 19! (20 actually, but I count my cuff pair as 1 item because I meant for them to be a set.) See them all in the Game Knitting flickr set! So that’s that, game knitting’s path from bored at work to ebook! Because of the way you play (when we thought of the TV idea) the working title when Pete and I talked about it was always “drinking game knitting”, hah! 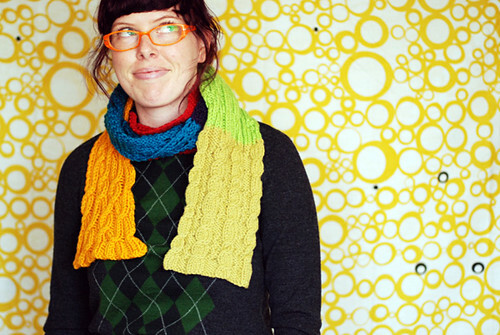 To some perfectionist knitters, the chaos patterns might look like you knit them while drunk! I love the randomness though, I hope you do too! Wow, so much info, here’s all you really need to know: The 65 page ebook (16.9MB) is $9. Click here to directly purchase it; click here to go to the ravelry page (and get it there); click here to go to its webpage where you can check out all my other patterns too. Your purchase of the ebook means you’ll get any future updated versions if there are ever changes or additions. There’s even a chance I might add more patterns in the future, if I figure out any more that look great, so you’ll automatically get the updates emailed to you. *I’ve chosen to give away the basic Game Knitting concept to everyone, and of course you are free to play even if you don’t purchase the ebook, but I do ask for one thing in exchange – if you knit something using this concept, and post it on ravelry, flickr, your blog, etc, please link to my game knitting page (or this blog post) so that your followers/friends learn about it! Thanks!! One more quick note – if you get the book and notice any typos, confusingly worded sentences, or anything confusing or weird in general, please let me know! 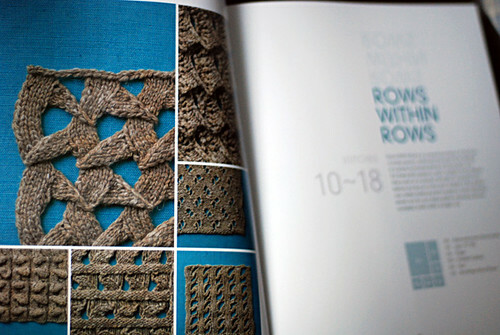 This is the biggest project I’ve ever done, and I fear I may have missed mistakes in my proofing, but the great thing about ravelry is once it’s up for sale, I can always update the pdf any time I make any changes, and updated versions will go out to anyone who already bought it. So yeah, don’t hesitate to let me know about anything that might possibly need changing, thanks!